As a woman, wearing a kippah is a transgressive act – J.
I was choosing persimmons at the Berkeley Bowl when the man across the aisle demanded: “Why are you wearing a kippah?” He was tall with a shaven head and an Israeli accent. His tone made it clear: No answer I gave would satisfy him. Let him wait for a minute. He needs the practice. I started wearing a kippah in the weeks following the 2016 election. It was my response to the upsurge in hate speech and acts toward minorities, particularly blacks, Latinos and Muslims. I look like the Ashkenazi Russian Jew that I am, but that reads as white. Combine that with my Scottish last name and I felt no personal risk. But I know my Jewish history. I know the dangers of silence. So I chose to make myself visible: I put a kippah on my head and have worn it ever since. What we wear signals who we are. Trans men and women literally learn to “do gender.” Ba’alei teshuvah, those who become Orthodox, learn to “be frum.” In both cases, learning how to dress is part of assuming a new identity. 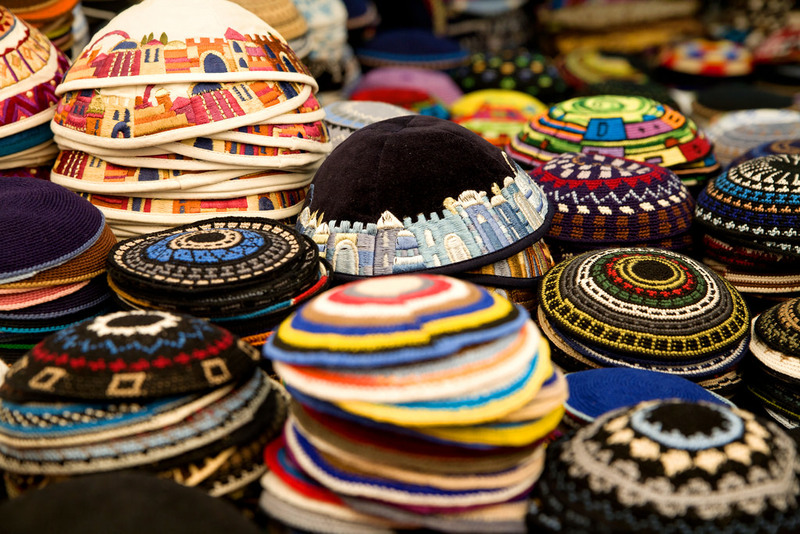 So what does a kippah mean and to whom? I know one young man who won’t wear a kippah because it would make him uncomfortable getting a beer after Friday night services: Someone might be confused. For him, wearing a kippah signals a particular kind of religious observance. I know another young man, equally as serious about Jewish practice, who wears a kippah whether he’s davening or eating eggs and bacon. For him, wearing a kippah is a political act of identity. Both these men have it easy. When since I put on my kippah, I have discovered that everyone, whether Jewish or not, knows that only Jewish men wear kippot. Let’s go back to our Israeli friend, waiting impatiently by the persimmons. I gave him my spiel. “Why not just wear a necklace?” he asked, presenting a clearly better choice to the ignorant American. But necklaces and kippot are not equivalent. A necklace is an adornment, subject to change. Why would anyone want to limit jewelry choices to a Jewish statement? A kippah is always a Jewish statement. My Israeli interrogator was secular. Observing Jewish commandments? Not for him. Yet, he remained deeply and angrily offended at my transgression. Men and women, he told me, were different in essence. A woman who wore a kippah blurred the lines between Jewish men and women with who knows what results? Further, what right did an American Jew, one who couldn’t even speak Hebrew well, have to choose for herself? Israeli and American views of Judaism — and, indeed, religion — are very different in ways both funny and troubling. There is more at stake here than those differences. Rather, the question is who gets to decide what the public face of Judaism is. I began wearing a kippah as a political act of identity. Like a good American Jew, I made the decision as a matter of individual choice. What I’ve learned since is that non-Jews may not know about holidays like Purim, but they know that only Jewish men wear kippot. Secular Israelis may not fast on Yom Kippur, but they know that only Jewish men wear kippot. Within any liberal Jewish community, the view is different. At Shabbat services, women wear tallitot and kippot as often as do men. Women chant Torah and haftarah and lead services as often as do men. Yet those egalitarian practices have not diffused outside synagogue walls as much as one might expect. I still wear a kippah as matter of solidarity with other vulnerable minorities, but I now know that I am also challenging assumptions about Jewish gender roles. How much more would those roles be challenged if more Jewish women starting wearing kippot? Why not find out? 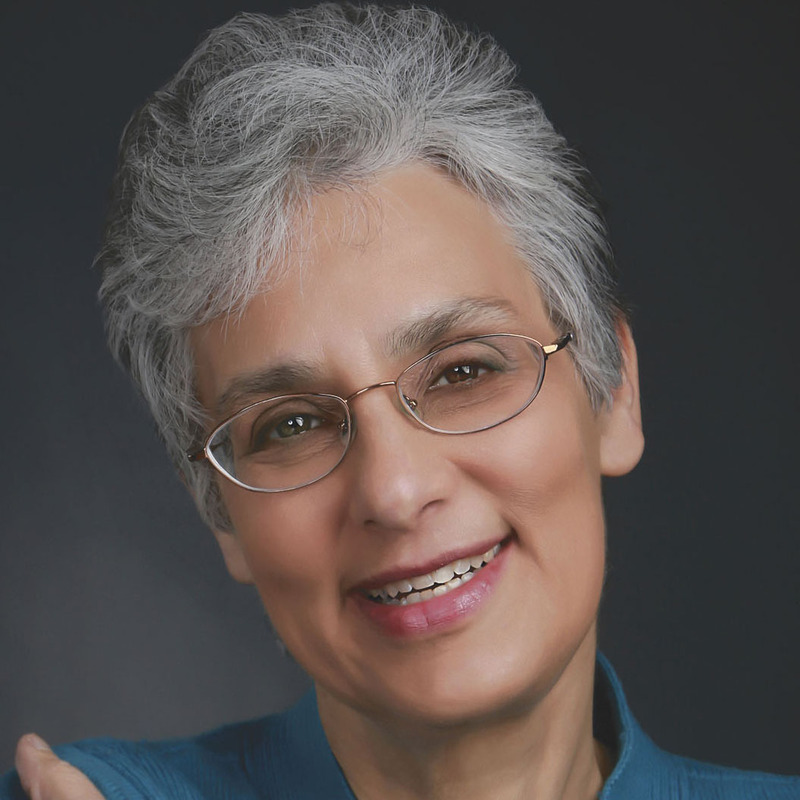 Patricia (Trish) Munro received her doctorate in Sociology from UC Berkeley and is the author of “Coming of Age in Jewish America: Bar and Bat Mitzvah Reinterpreted.” She currently uses her sociological knowledge and skills as a city council member in Livermore.